Our members are a keen bunch! We were overjoyed to see plenty of new and familiar faces at our June Chamber Breakfast event, despite the chilly weather. They were well rewarded for their early start with a deliciously warm breakfast and a fireside presentation from The Posify Group; all generously sponsored by Port Chamber gold members, Pycon Homes. As members and guests mingled and chatted, the talented team at Seasons Café and Restaurant, Cassegrain Winery, tempted the taste buds and warmed our bellies with a selection of buttery pastries, savory slices, healthy muesli and yogurt cups and piping hot coffee and tea. The new and improved format for Chamber events now allows extra time to network and participants made good use of the initiative by introducing themselves to new members, swapping stories and sharing connections, as they prepared for the upcoming presentation. It took a few attempts from Port Macquarie Chamber President, Michael Mowle, to bring the focus back on the event, after which he warmly welcomed our new and current members, thanked event sponsors, Pycon Homes and introduced Mariane Power and Jenna O’Connell of The Posify Group prior to their inspirational delivery. With the energetic siblings taking center stage, members and guests were encouraged to explore practical strategies to positively impact on performance, engagement, retention and productivity in the workplace. It was refreshing to engage with such a fun and interactive delivery as we overlooked the spectacular gardens at Cassegrain Winery. Mariane and Jenna relied on the application of evidence-based interventions, grounded in the science of positive psychology in assisting participants to experience the benefits of working with purpose. Their presentation drew on the science of happiness and well-being and enabled participants to unpack the practical ways in which each of us can craft our own purpose projects, whilst gaining skills to improve our well-being and boost our optimism. Wrapping up the presentation with their own brand of the Mexican wave, the dynamic duo had everyone returning to work engaged, inspired and smiling. What a positive way to start the day – we love it! Want a sneak peek at what The Posify Group shared with us? 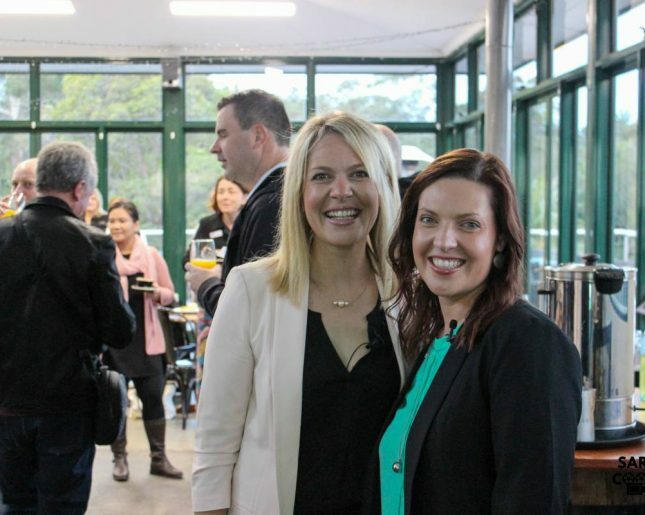 Click here to get your little dose of inspired wisdom and come along to the next Chamber event to get connected.